Only 84 years after its discovery in 1930 by Clyde Tombaugh, it is the eve of our first-ever close-up look at everyone's favorite dwarf planet, Pluto. NASA's New Horizons spacecraft will make a fly-by on July 14th, after a high-speed, nine-year voyage. New Horizons was recently brought out of its cold-sleep "cruise" mode in preparation for the historic encounter on July 14. Picture the opening scene of the movie "Alien" as the crew is brought out of hibernation; it's something like that, but smaller and without actors. For anyone who has been following the New Horizons mission, this close encounter is a long anticipated event. For many of us, the wait has been much longer. For me, my curiosity dates back to childhood, when Pluto was my favorite planet, even though we knew very little about it. Maybe the mystery had something to do with the attraction. Even now, the best images of Pluto, captured with the Hubble Space Telescope, show little more than areas of light and dark coloration. 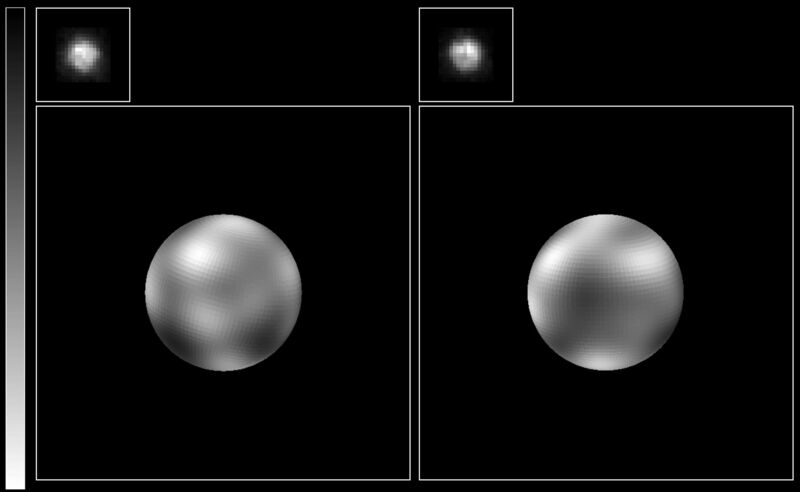 Perhaps they're similar to squinty telescopic views of the planet Mars in the 19th century, or the first blurry close-ups of Jupiter's Galilean moons by the Pioneer spacecraft, which arguably offered more to the imagination than the eye. In the coming months, as New Horizons gets closer to the Pluto system, NASA scientists will check out all of its instrumentation, to make sure it has suffered no ill effects from cold sleep. They'll also start gathering data on Pluto, its large moon Charon, the smaller moons in the system and the environment of the space in Pluto's region of the solar system--the frontier of the Kuiper Belt. In May, New Horizons will be close enough to Pluto to capture better images than what we have from the Hubble Space Telescope--and then, we'll begin to see things, not just imagine. 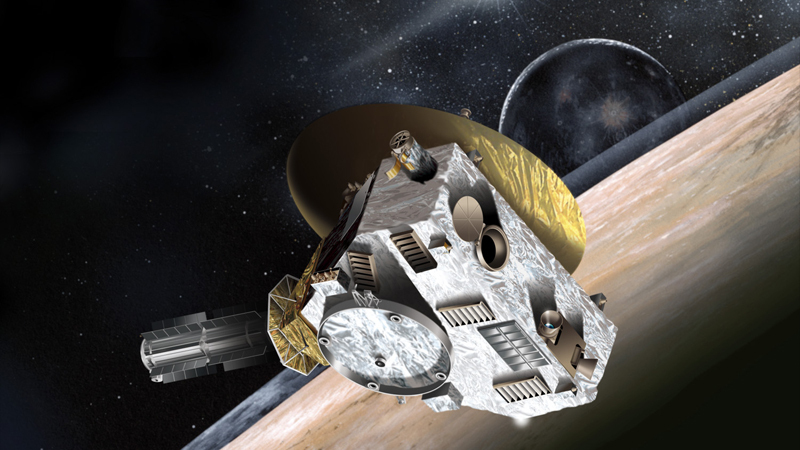 What will New Horizons tell us about distant Pluto? That's the exciting part: we don't know, yet. Scientists have some ideas of what to expect, but if the history of close-encounter exploration of other solar system objects is a guide, we could be in for some surprises. Before we saw them up close, we knew nothing of the active volcanoes on Io, the deep liquid water ocean on Europa, the surface lakes and seas of liquid methane on Titan or the water geysers of Enceladus. Every object we've sent spacecraft to, it seems, held surprises for us. Why would Pluto be any different? Pluto is what astronomers call a dwarf planet, one of presently five solar system objects that were given this classification back in 2006, shortly after New Horizons was launched. Pluto is small, with about one-sixth the mass of Earth's Moon, and probably made of a mixture of rock and ice. Traces of a very thin atmosphere have been detected, composed of nitrogen, methane and carbon monoxide. Pluto's large moon Charon is fully half of Pluto's diameter, making the pair more of a double object than a dwarf planet and its moon. Beyond these physical characteristics, and the system's orbital and rotational properties, we know very little—and doubtless a minuscule fraction of what we will know after the July encounter. There's a whole new world just on the horizon. This year promises a bumper crop of discoveries on dwarf planets. Not only does New Horizons reach Pluto in July, but another NASA spacecraft, Dawn, will arrive at and enter orbit around Ceres in the Main Asteroid Belt in March. Ceres was once classified as the largest asteroid, but lost that status at the same time Pluto was demoted from planethood. In fact, this is Ceres' second reclassification, as it was originally designated as a planet, just like Pluto--though in Ceres' case one can argue that the change in status is a promotion. But when it was discovered that Ceres was one of many objects orbiting the sun between Mars and Jupiter, the term "asteroid" was coined and Ceres was reassigned as the largest of this new class. Following New Horizon's fly-by of Pluto, the probe will coast on into the Kuiper Belt, with possible future encounters with other poorly understood Kuiper Belt Objects on the more distant horizon.